Moving from one home to another is considered one of the most stressful things people do in their lives; when your move is across the country rather than across town, the stress is increased tenfold! Long distance moving involves careful planning and organization on your part and on the part of the company you pick if you hire movers Miami. Is the company you pick going to do a good job? Would you be better off renting a truck and doing it yourself? The following long distance moving tips are not going to answer all of your questions, but they’ll be a good place to start your move on the right track. 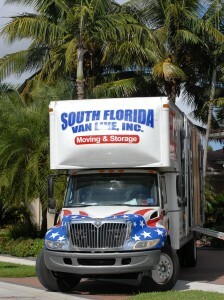 Do-It-Yourself or Hire Movers Miami? If keeping your move affordable is your only concern, than renting a truck and moving your own possessions is by far the best option. However, long distance moves are stressful enough without sore shoulders and stiff backs! Hiring movers is often double or triple the cost of renting a truck, but those who have gotten a good moving company and report a good experience will tell you that it is well worth every penny. On the other hand, those who hire movers that are careless or less than reliable will have a very different take on the matter. The bottom line: moving yourself is significantly cheaper for long distances, so if you’re going to pay for movers, it is in your best interests to find a reputable company. If you decide to go the less expensive route, there are a few things you can do to make your move go more smoothly. First and foremost: plan your packing! The only thing worse than over-exerting yourself during a big move is over-exerting yourself AND breaking or misplacing some of your belongings in the process. Large boxes are great for pillows and blankets, but for just about everything else, you’ll want to stick to smaller, more manageable dimensions. Also, make sure that you have plenty of packing material and a way to clearly label your boxes. Always pack one room at a time, and keep the boxes from each room together when you load them; this will be a huge help when it comes time to unload! The most important thing to remember when you hire movers is this: a company you can trust is worth a little extra. Now, this doesn’t mean you should go out and hire the most expensive movers you can find; what it does mean is that you should get several quotes from several different companies and pick the one that you feel will do the best job rather than the one that charges the least. Good communication is a key element of working with movers, and when you find a company that you feel comfortable communicating with, you’re more likely to have a good experience. If a particular company leaves you feeling uncomfortable before they load a single box, there’s bound to be trouble ahead; on the other hand, a company that quotes a little higher but is quick to answer any questions you have and makes allowances for your specific needs is likely to provide great service through the entire moving process. Are you moving appliances and furniture or extra vehicles? Something really large like a piano or a pool table? Any of those will take special consideration and special equipment. If you hire movers, let them know about these items early so they can prepare, and if you’re doing it yourself, make sure you have the proper equipment for the job handy. Depending on the timing of the move, you might want to consider a storage space for some of your stuff that can’t be immediately accommodated. This is an added expense, but can often make a big move much more convenient, especially if the place you are moving to will need a few improvements when you arrive. There can’t be too much stress put on good organization. Planning ahead will make a significant difference in the stress level of your move, and will put you on the right track in your new location. 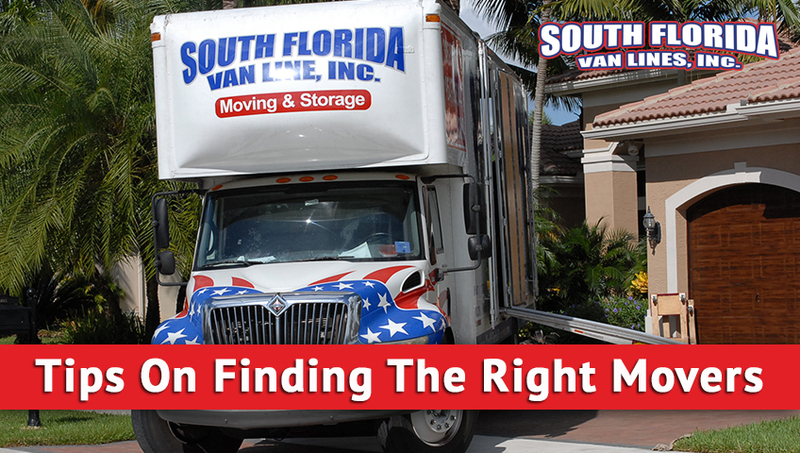 South Florida Van Lines Movers Miami, call us today at 305-912-2338 or visit Movers Miami Quote and we will get back to you shortly!